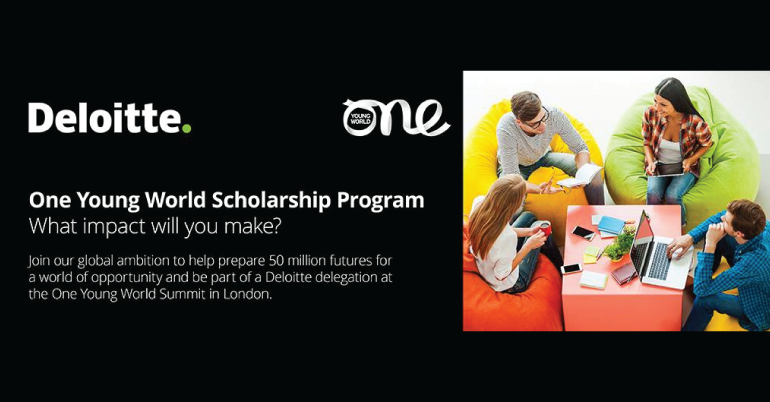 Deloitte is providing scholarships to attend The One Young World 2019 in London. Education is the cornerstone of sustainable development. 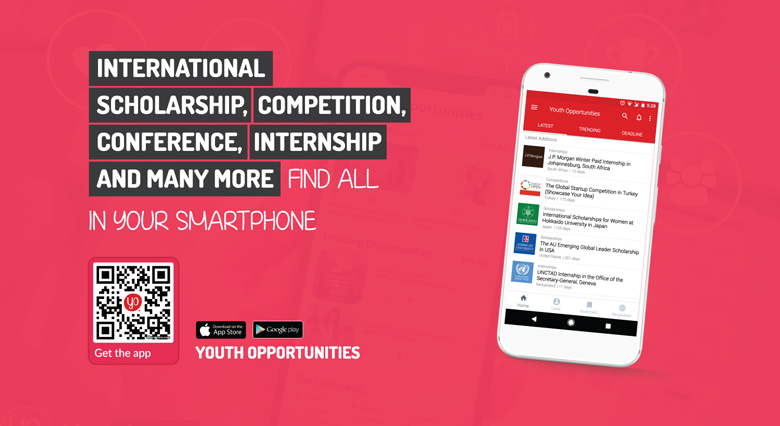 There are currently 1.8 billion young people (aged 10-24) worldwide and over half of this population will not have the skills necessary to participate in the emerging global workforce. The United Nations’ Sustainable Development Goals (SDGs) clearly recognize that this gap must be closed, as the international community more explicitly addresses the challenges of quality and equity in education. Deloitte is committed to preparing 50 million people to succeed in a rapidly changing global economy by 2030. They are applying their core skills, experience, and global reach to make an impact through education, skills development, and access to opportunity, in line with SDGs 4 – Quality Education and 8 – Decent Work & Economic Growth. As a longstanding partner of One Young World, Deloitte is proud to support the Deloitte One Young World Scholarship 2019, which will enable 10 outstanding young leaders to attend the One Young World Summit in London, the United Kingdom on 22 – 25 October 2019. Improving access to education, skills, or employment opportunities for those that may be left behind by the rapidly changing global economy. For example, to women and girls, disadvantaged youth. Creating skills development or lifelong learning opportunities for people to prepare for the future workforce, including in areas where there are talent shortages. Accelerating entrepreneurship, new types of employment, or providing opportunities for people to overcome traditional barriers to employment. Candidate’s age must be between 18 – 30. Please visit the official link for further queries.